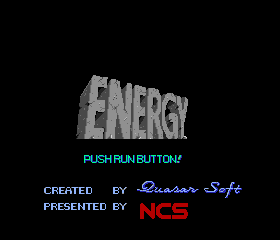 The game is based on a PC-88 game from Quasar Soft named Ashe. Besides the big improvements to graphic and audio quality (Ed: Really? 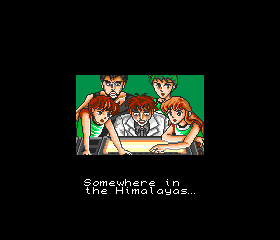 ), the games seem functionally identical. 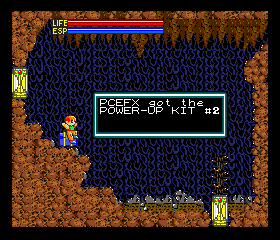 An English translation patch for Energy on the PC Engine. 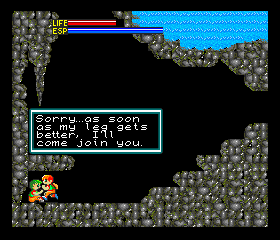 It also contains a few small gameplay changes, making it a lot less painful to play. 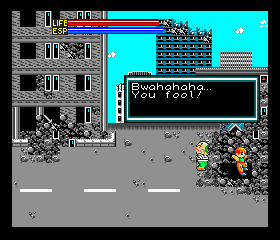 The game is fully playable in English. The text prints faster. You can now ‘tap’ the button to proceed at the end of a text box. The infuriatingly slow scrolling speed is now much quicker. The unskippable intro now plays only once–if you die or reset, it will skip the intro and start the game directly. Hopefully some folks who were put off by it before can now complete and perhaps even find some enjoyment from this infamous HuCARD game.